Colombo, it is the shopping paradise of the country with world renowned branded clothes and accessories. An evening stroll along Galle face green is something you will enjoy in Colombo. Street food is popular in the area, ranging from isso vades (prawn cakes) to kottu (a uniquely Sri-Lankan dish that you must try).For all who appreciates the night life, Colombo has got a ray of clubs to enjoy, from pubs to bars to dance routines. It’s up to you to pick and choose. The night life in Colombo is very vibrant and extends from Jazz to rock n Roll, Hip hop to popular dance music. Sri Pada Mountain, is set in the South West corner of the central mountain region. This mountain is 2243 meters high. Devotees from all four major religions believe that the sacred foot print belongs to their faith. Buddhists believe that Lord Buddha throughout his third visit to Sri Lanka has placed his foot print on the summit of this sacred mountain, hence this is known as “Sripada”. Muslims believe that this can be the sacred footprint of Adam and call Adam’s peak. Hindu’s believe that this can be the sacred footprint of god Sive where Christians claim its St. Thomas’s. Folks from all four religions climb this mountain with many religions. Adams peak is additionally known as “Samanala Kanda” as name is taken from a Buddhist god “Saman”. Once climbing ‘’Sripada’’ there are some traditions followed by the devotees. It’s said better not to ask “how far is to the top” instead folks exchange greetings for every other such as “peace” (“Karunawi”). The primary time climbers may take a shower from the stream known as “Seetha gangula”. At the “indikatu pana” (place of needles) folks used to droop threaded needles.The pilgrim season starts from the full moon of Poya day of December and it continue to the Wesak full moon poya day within the month of May. throughout the other times this region get serious rain and also the road is extremely wet to climb and it's dangerous to climb this point. Sripada is also known for its breathtaking view of the sun rise. Horton Plains National Park, is a well-liked traveler destination, with World\'s end being the key attraction. The park is accessed by the Nuwara Eliya-Ambewela-Pattipola and Haputale-Boralanda roads, and there are railway stations at Ohiya and Ambewela. World's end is a sheer cliff with an 870 m (2,854 ft) drop.It is set at the southern boundary of the park. Another drop referred to as the Lesser World's end of 270 m (886 ft) is found shortly from World's end. Baker's Falls, a waterfall shaped by Belihul Oya, a tributary of the Walawe river after when Sir Samuel Baker, a hunter and explorer who tried to establish a european agricultural settlement at Nuwara Eliya. The falls are 20 metres (66 ft) high. Rock Falls is another renowned waterfall within the plains. Sinharaja Rain Forest , the location of the Sinharaja Rain Forest is within the South Western a part of the Island and covers a region of 11,187 HA (Hectares). Sinharaja Forest Reserve is bordering 3 districts of the island, specifically Galle, Matara and Ratnapura districts. The Rakwana formation with its mountain ranges is part of the area covered by Sinharaja rain forest. There are few fascinating facts on the formation of the Sinharaja Rain Forest in Sri Lanka and how it came in to being. The current rain forests in the world are being an evolution of the earlier rain forests dating back to 150 - 200 million years. There had been 3 strips of enormous rain forest lands referred to as Amazon, African and far eastern at that point. But these giant extents of rain forest areas later became less in area content and were confined to smaller areas. Then about 140 million years back, throughout the geological era, a part of land from the southern hemisphere referred to as Gondwana land. Wherever at present day India and also additionally were settled, started its slow method of separating from the main land. about 55 million years back throughout Cretaceous era that land mass referred to as Decan plate , wherever Sri Lanka and India were set separated from the southern hemisphere , started drifting towards the equator and joined with the northern hemisphere referred to as Laurussia. Beruwala. The history of Beruwala dates back to the 10th century once the first permanent Arab settlements in Sri Lanka were noted to have been there, and it's this Turkish design that has been the inspiration of this resort that occupies the land of 2 older hotels that were dismantled. Cinnamon Bey is known as with relation to this history and is that the term used to address provincial nobleman of the empire. The distinctive location of the resort offers it the possession of getting both the bay and also the beach as its read including a natural pool ideal and safe for swimming. Colombo Light House is located at Galbokka Point south of the Port of Colombo on the waterfront along the marine drive in Colombo Port in front of the Light House Galley Restaurant. Colombo Port, Colombo Port Chaithya, Galle Face Green Promenade, World Trade Centre etc. Dutch Meuseum, two storied large building reflecting the features of a 17th century Dutch Urban house was built by Thomas Van Rhee, The Dutch Governor of Sri Lanka from 1692- 1697 as his official residence. During the British period in 1796 this building was used as a arms store of army hospital, police training center, Pettah post office and telecommunication center. This building was preserved by a special preservation committee with the assistance of Netherlands government in 1977 and opened for the public as Dutch museum by the Department of National Museums. It has displayed over 3000 museum objects related to the Dutch who ruled coastal areas of Sri Lanka. (1658-1796). - Accommodation as above is in standard double room basis. - Transport in air-conditioned vehicle. - All currently applicable taxes. 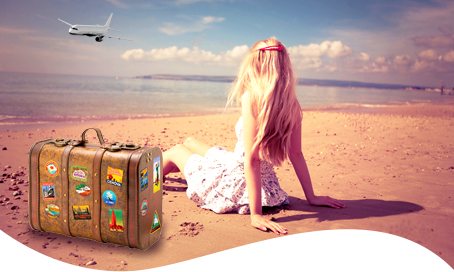 - International air-fare, airport tax or any kind of insurance cover. - Any other meals than those mentioned in the itinerary. - Any other item not specifically mentioned above as ‘INCLUDED’.